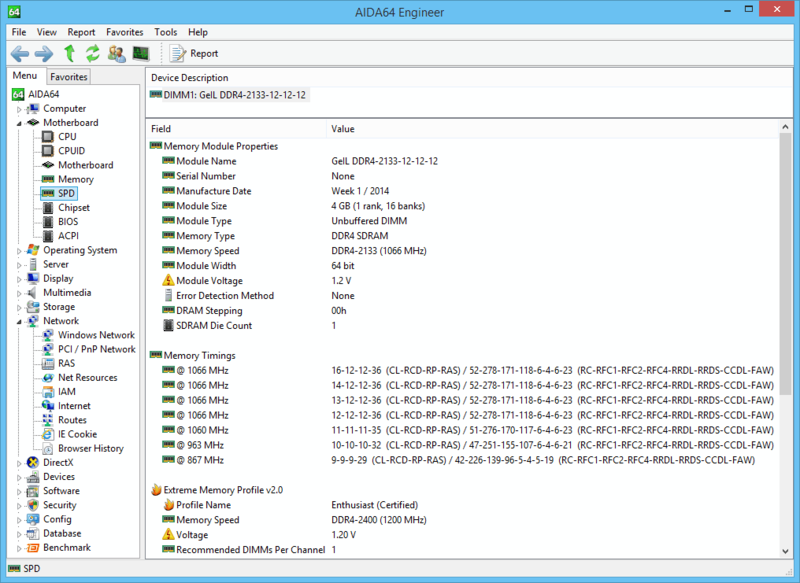 FinalWire has recently released the AIDA64 v4.60. The new AIDA64 v4.60 comes with support for a wider range of external LCD and VFD displays, including alphanumeric, monochrome and color panels, on which AIDA64 can directly display temperatures, voltages and fan speeds as well as other system information. The July update also introduces support for the latest and upcoming processor and graphics technologies and storage devices. All four editions of the portfolio have been updated to the new version, including the award-winning PC diagnostic and benchmarking tool, AIDA64 Extreme, as well as the company’s flagship IT asset management solution for business customers, AIDA64 Business. Check out its new features and improvements below, as well as price and availability. According to Tamás Miklós, Managing Director and lead developer of FinalWire: “While working on the latest release, we focused on providing our users more opportunity to monitor sensor values on external displays. We also paid special attention to implementing functions requested by our business customers: among other things we have added such smaller but important options to the feature set as support for embedded XSL style sheets in XML reports and SSL encrypted SMTP. For example, this latter option can ensure that the software sends inventory reports and security alerts through a secure channel to system administrators”. Detailed information on discrete and integrated GPUs supporting the new AMD Mantle low-level graphics API. 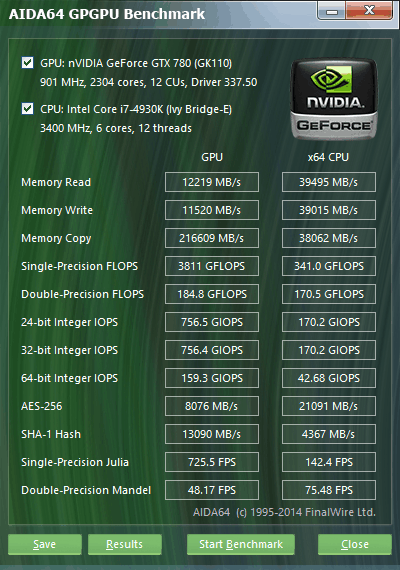 The Mantle page of AIDA64 v4.60 has been enhanced to cover GPU clocks, TMU count, profiling information, API versions, and video memory details. Queue, memory heap and device extension enumeration is also available for both GCN and GCN2 family Radeon GPUs. AVX2 and FMA optimized 64-bit benchmarks for the upcoming Intel “Broadwell” desktop and mobile processors. Chipset information for Intel “Broadwell PCH-LP” integrated south bridge, and for the integrated memory controller of Intel “Broadwell” processors. AIDA64 benchmarks and System Stability Test utilize Advanced Vector Extensions 2 (AVX2), Fused Multiply-Add (FMA) instructions, and AES-NI hardware acceleration of the new Intel processors. Improved support for the upcoming Intel Core i7 “Haswell-E” high-end desktop CPUs, Intel Xeon “Haswell-EP” server CPUs, DDR4 memory modules, and XMP 2.0 memory profiles. Preliminary support for Intel “Skylake”, “Cherry Trail”, “Denverton” processors. Multi-threaded OpenCL GPGPU benchmarks, graphics processor, OpenGL and GPGPU details, temperature and cooling fan monitoring for the latest GPUs: AMD Radeon R9 M265X, Radeon R9 M270X, Radeon R9 M275X, FirePro W8100; nVIDIA GeForce GT 730, Quadro K2200M. Plextor M6M, Plextor M6S, Samsung 845DC Evo, Samsung 850 Pro SSD support. Revamped enumeration of Direct3D Compute Shader devices. All AIDA64 v4.60 editions are globally available today. Targeting business customers, AIDA64 v4.60 Business is a comprehensive IT asset management solution, which offers hardware diagnostic, network audit, change management and remote capabilities to corporate customers. The product is available for $199.90 for up to 10 clients with 1-year maintenance; $1499 for 100 clients with 1-year maintenance and $2999 for 200 clients or more. AIDA64 v4.60 Network Audit is dedicated network inventory solution for businesses. It is available for $99.95 for up to 10 clients with 1-year maintenance; $749 for 100 clients with 1-year maintenance and $1499 for 200 clients or more. A professional solutions for corporate IT technicians, AIDA64 v4.60 Engineer is a system information, hardware diagnostic and benchmarking utility, which provides exhaustive details about both the hardware components and the installed software. It is available for $199.90 for 1 engineer with 1-year maintenance. 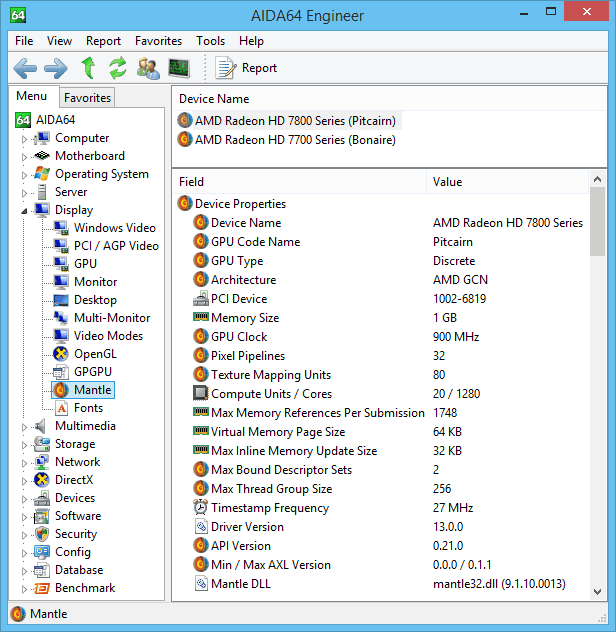 Based on the award-winning AIDA technology, AIDA64 v4.60 Extreme is an industry-leading system information, diagnostic and benchmarking solution for PC enthusiasts, which can be purchased for $39.95 with 1-year maintenance. You can download a free version of the AIDA64 v4.60 Extreme, Engineer, Business or Network Audit Editions in FinalWire’s download page here. These free versions are good for 30 days only, and during the trial period AIDA64 offers limited functionality, and may not display all data on the information and benchmark result pages.